In the process, I met Morgan Rosenblum; Founder and Creator of Darkrose Studios. What is Darkrose Studios? I’m glad you asked because I’m here to tell you. Founded in 2012, Darkrose Studios is an independent publishing company and digital studio that specializes in creating and producing original Sci Fi and Fantasy Content. 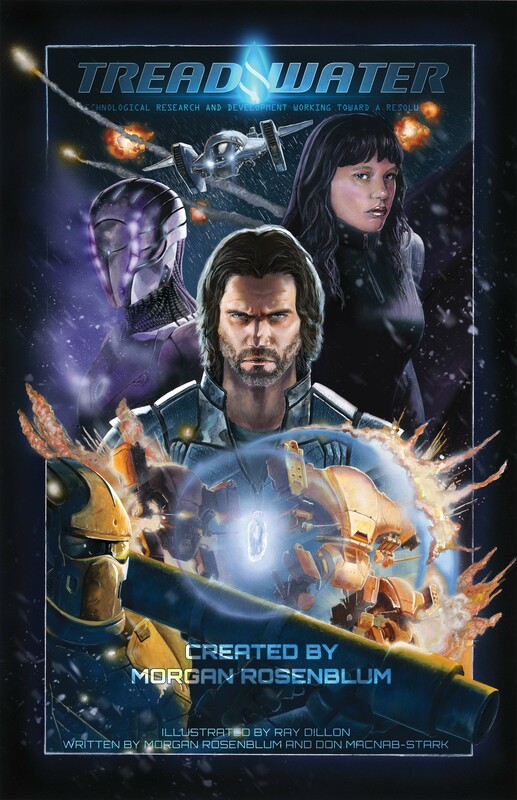 Currently they have one published graphic novel, Treadwater (Sci-Fi) and coming soon Gemstone Knights (Fantasy). In the wake of a global economic meltdown, chaos erupts and the world’s safety is jeopardized by a new wave of crime and terror. A privately funded team of hi-tech special operatives is assembled, known as TREADWATER, the only force standing between hope and anarchy. Available from Midtown Comics and download from ComiXology. Part two should be coming out soon. I was able to take a peak at the video game and the graphics looked amazing. It’s still in the early pre-alpha stages and it won’t be ready for a while. But to become a beta tester, I highly recommend you signing up for their mailing list on their website and/or follow them on social media. I signed up to become an operative, so hopefully we get access soon. 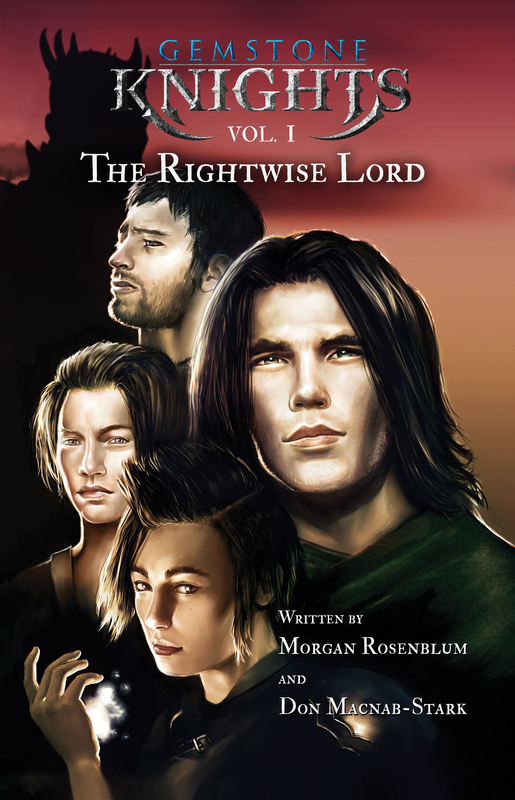 Gryffud, a young huntsman, discovers on his 20th birthday that he is the rightful heir to the High Throne of Roncalion. Nearly 15 years prior, Roncalion was attacked by a merciless tyrant, and in desperation the High King ordered his most trusted servant, Tameer, to leave the castle with his four children, the rightful heirs. Out of the two series, I am beyond excited for the release of Gemstone Knights. I just get sucked in to a great fantasy realm. I could just envision the game. And I am totally nerding out over The Gems, which one would you want to obtain? They all have their use and purpose. I’m going to be selfish and get them all because that’s I roll. He was kind of enough to show me around his booth. So much purple, I love it! If you notice in the far back of the pictures they had Holly Wolf at their booth. She is the 2015 Geek Fantasy Woman Of The Year. He was even kind enough to give me a signed poster #bejealous. Make sure you follow Darkrose Studios on Twitter, Facebook, and YouTube for current and future releases.